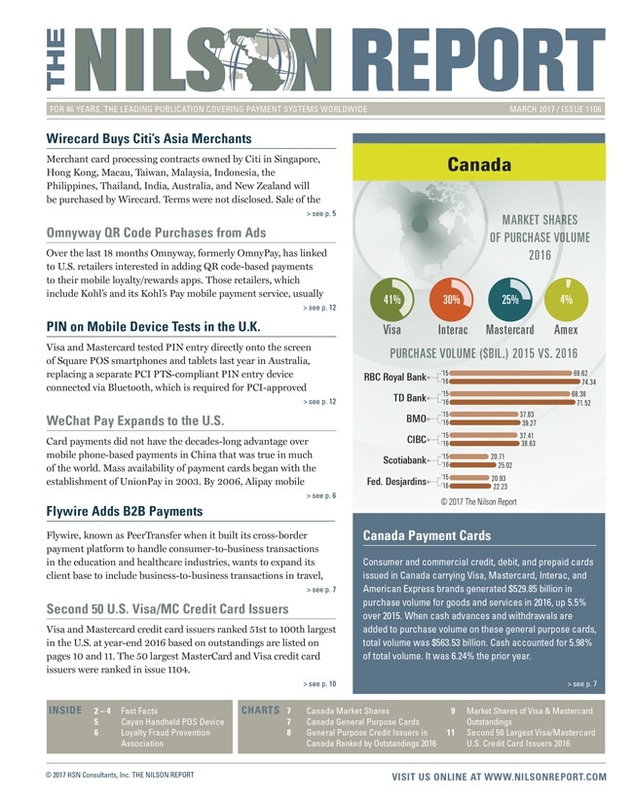 View the headlines of all featured articles, descriptions of charts, as well as a list of all of the companies mentioned in every newsletter published within the last ten years. 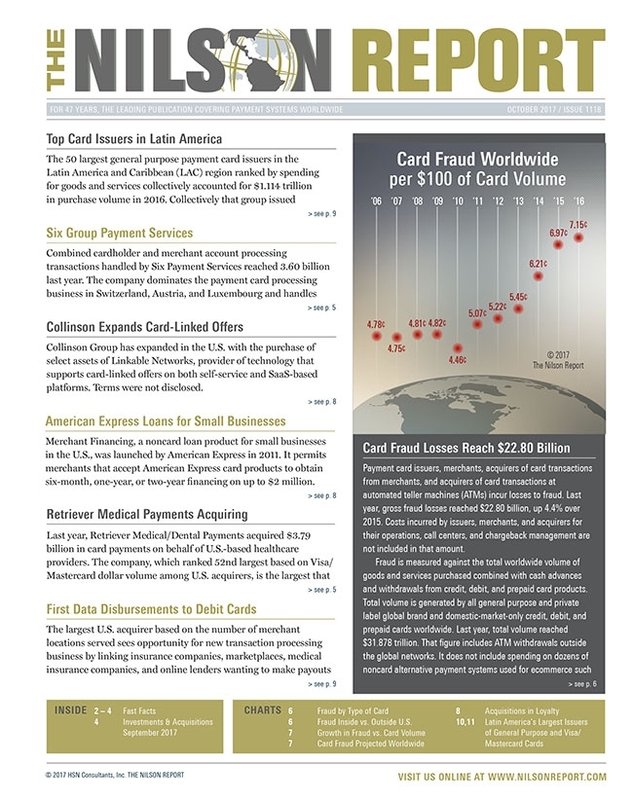 Explore each issue by clicking below. 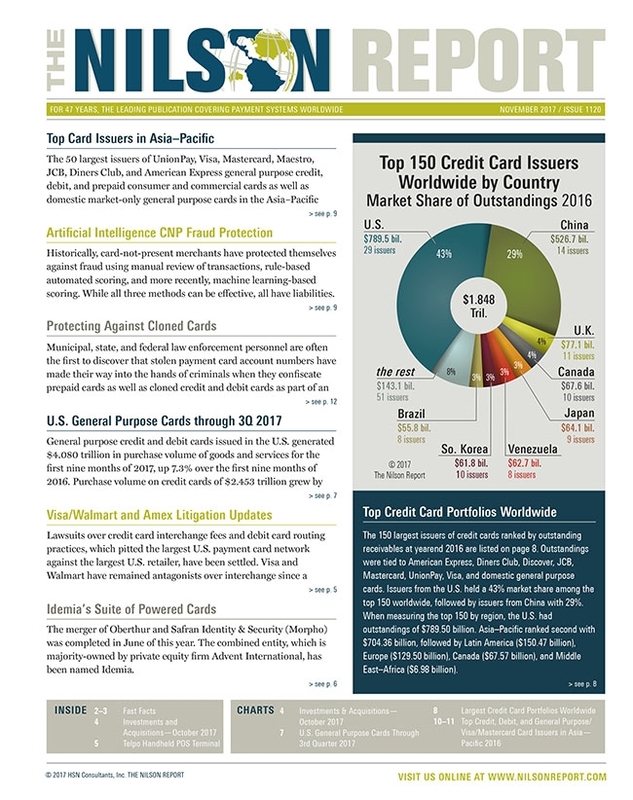 New subscribers receive a USB Flash Drive containing the last five years of issues with a built-in advanced search feature, allowing you to search the content of the entire Flash Drive or the contents of any single issue. 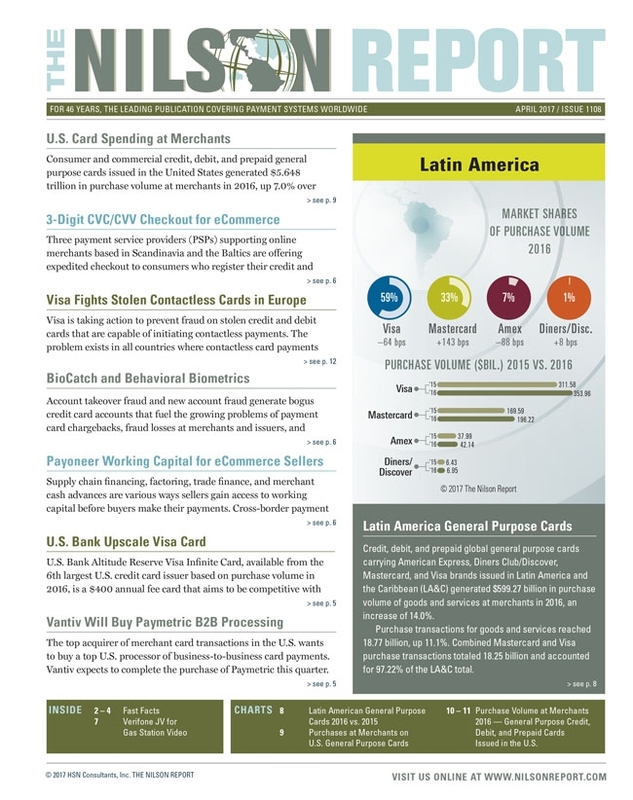 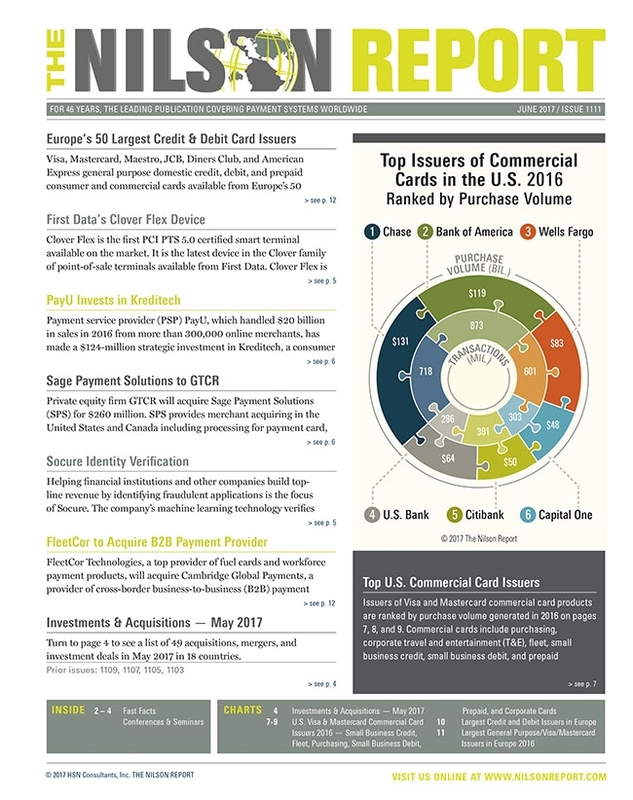 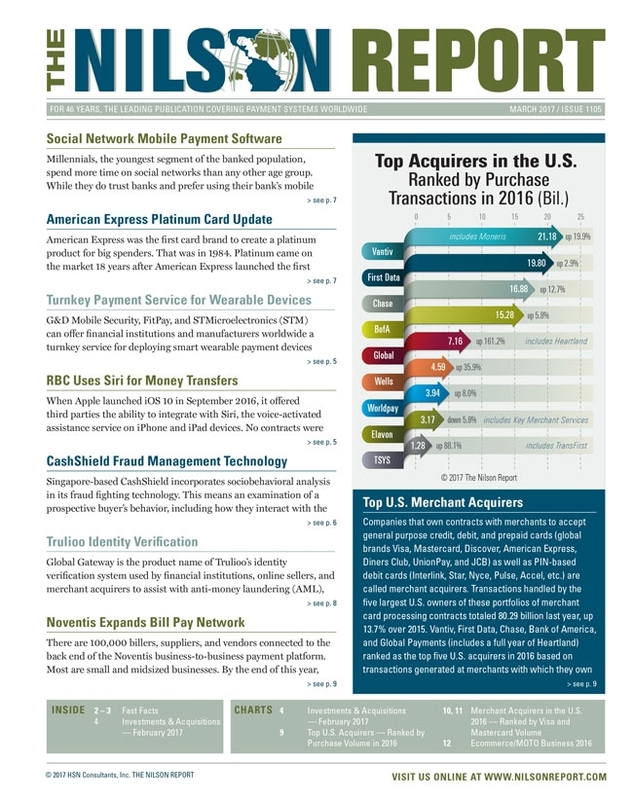 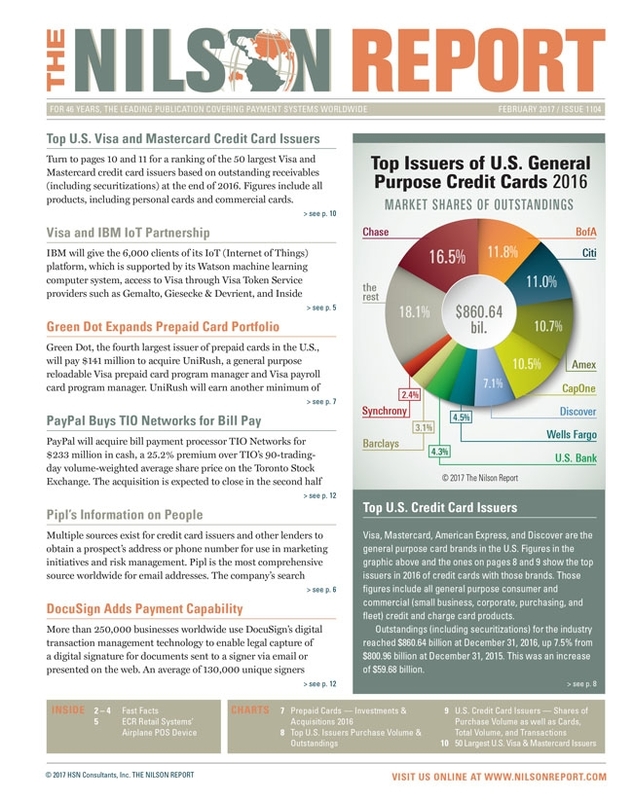 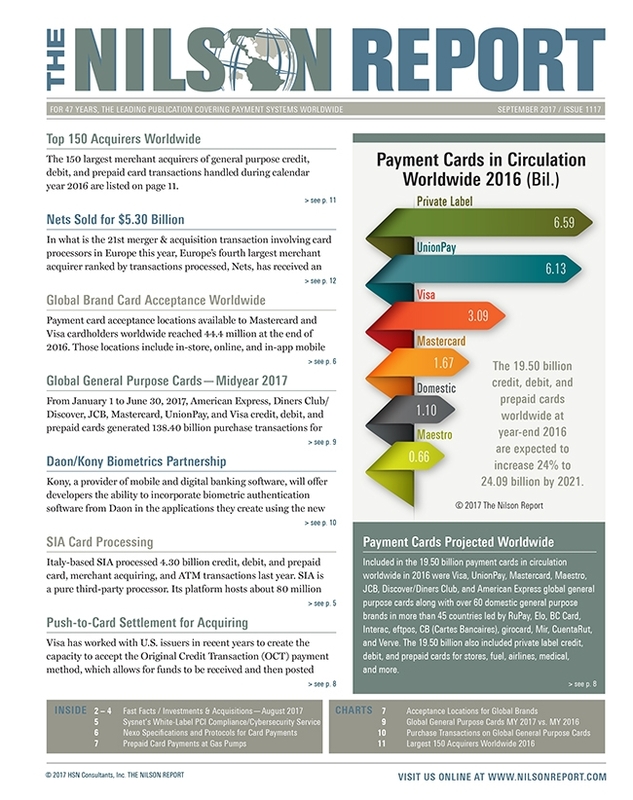 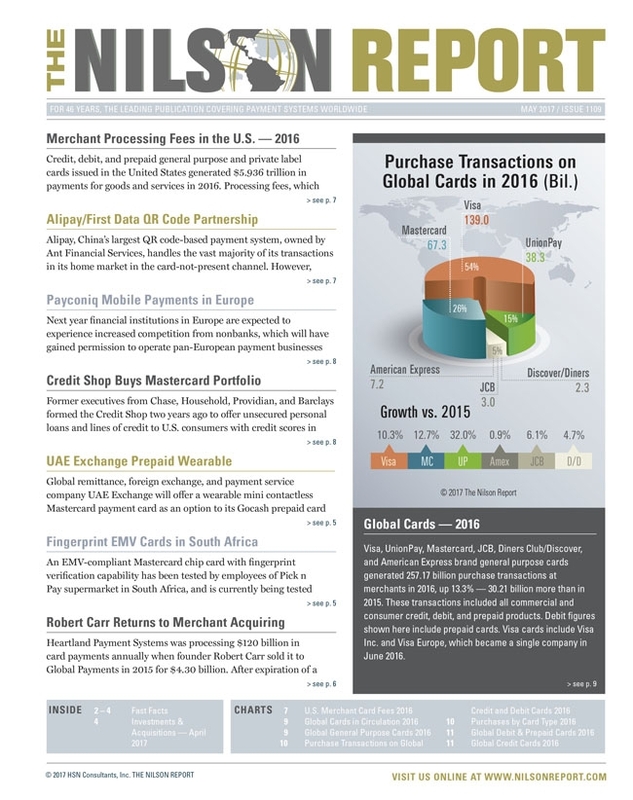 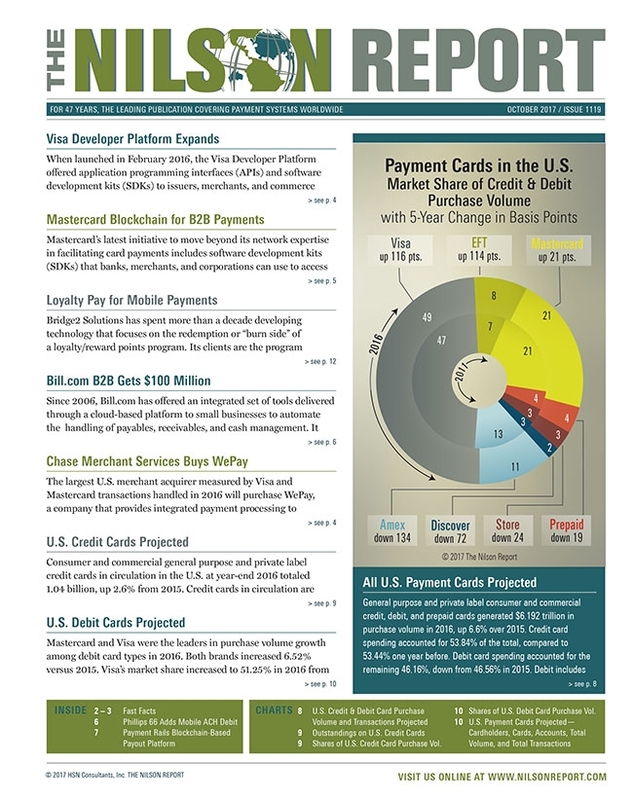 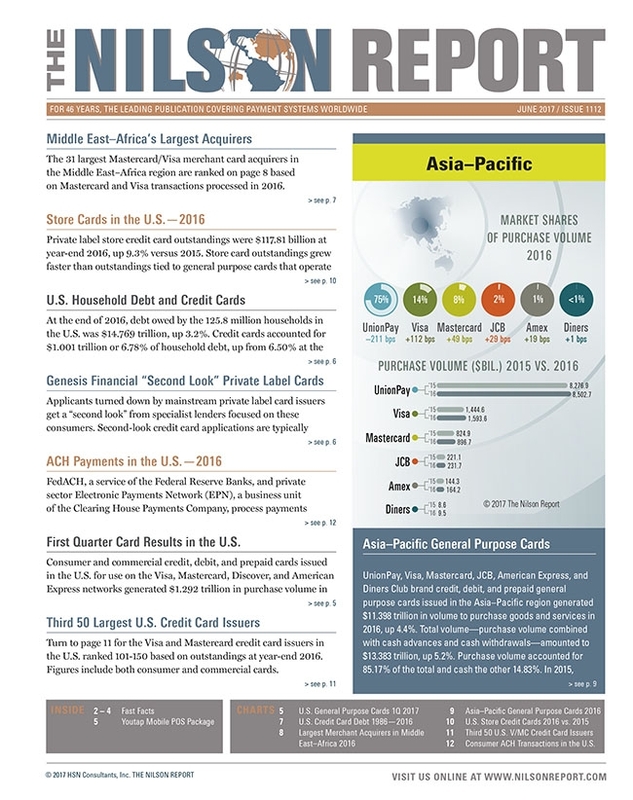 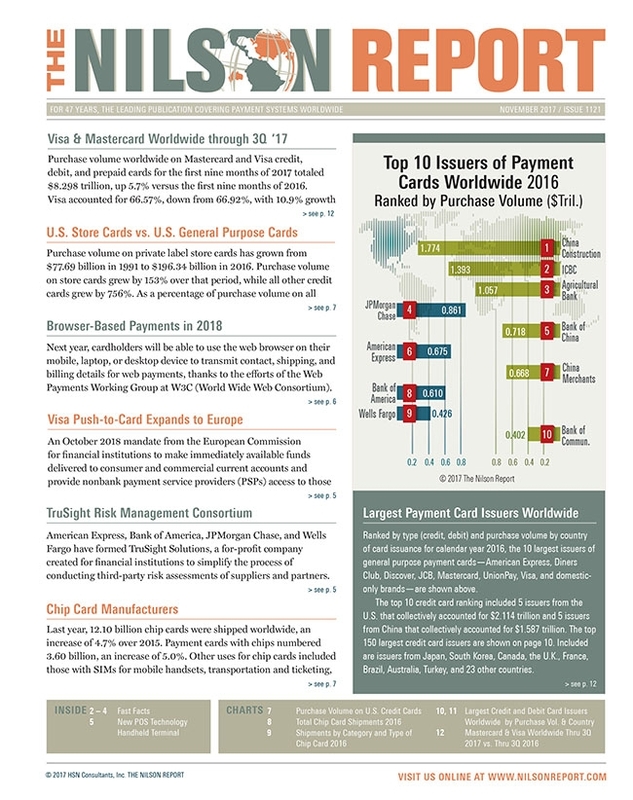 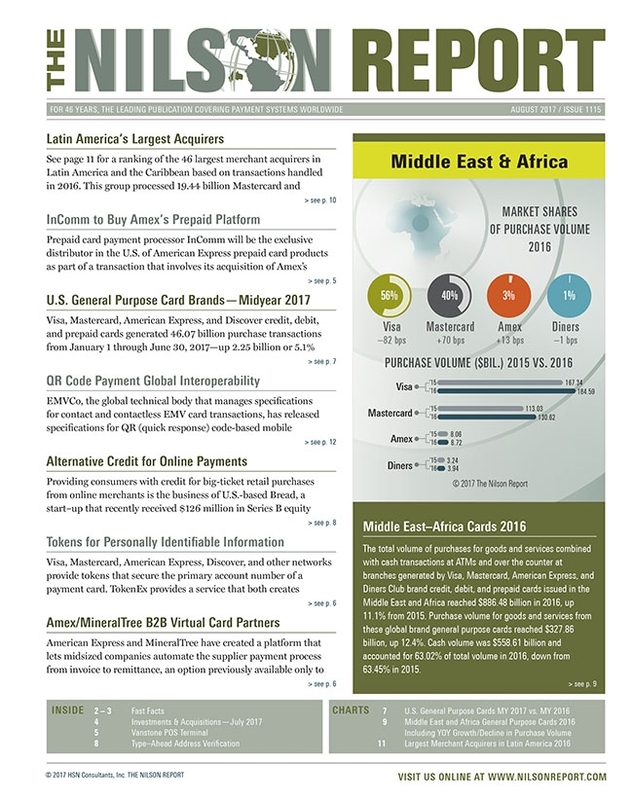 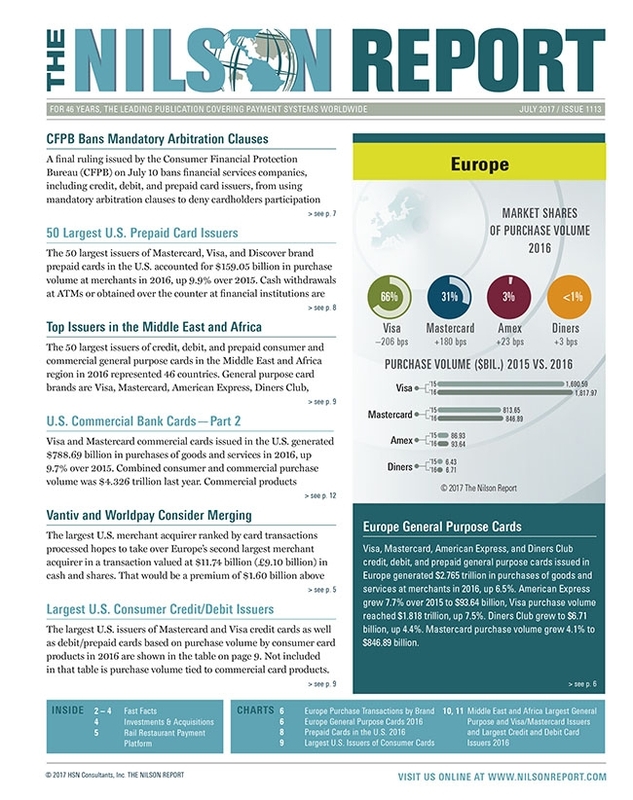 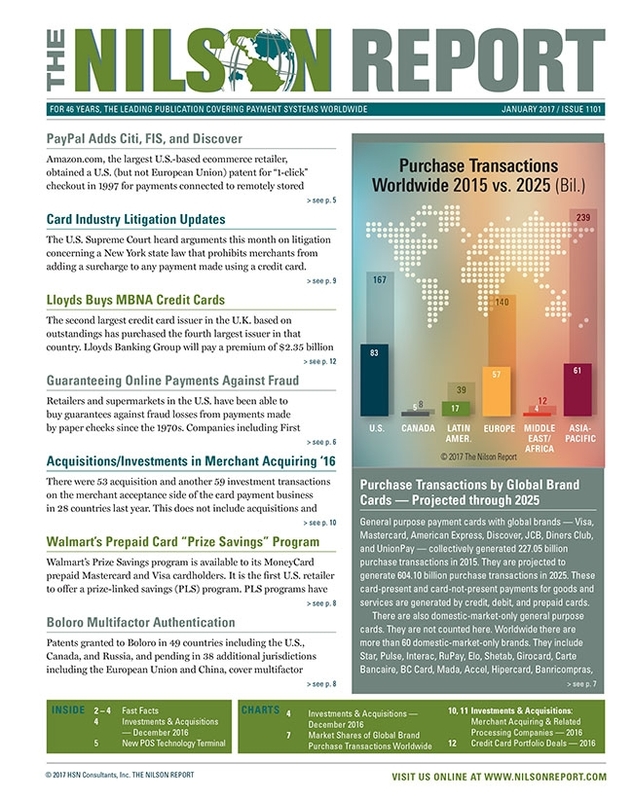 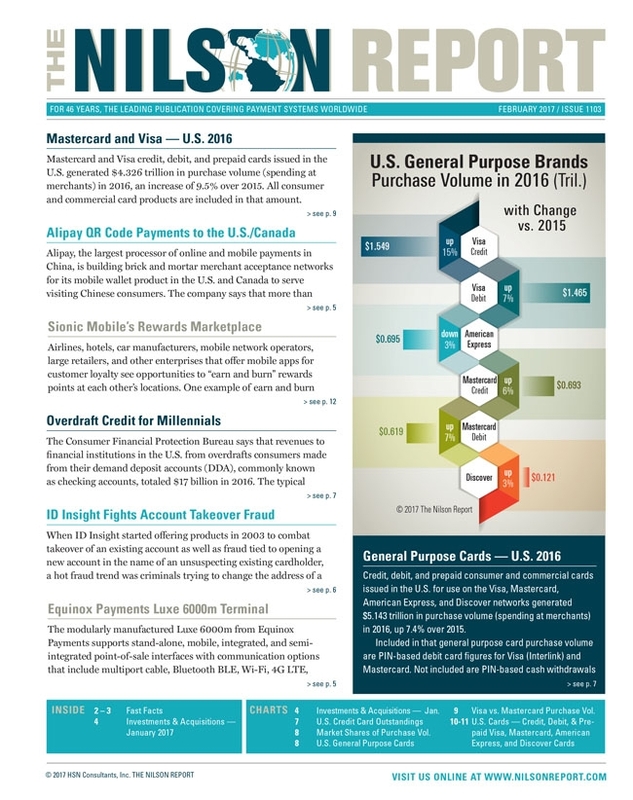 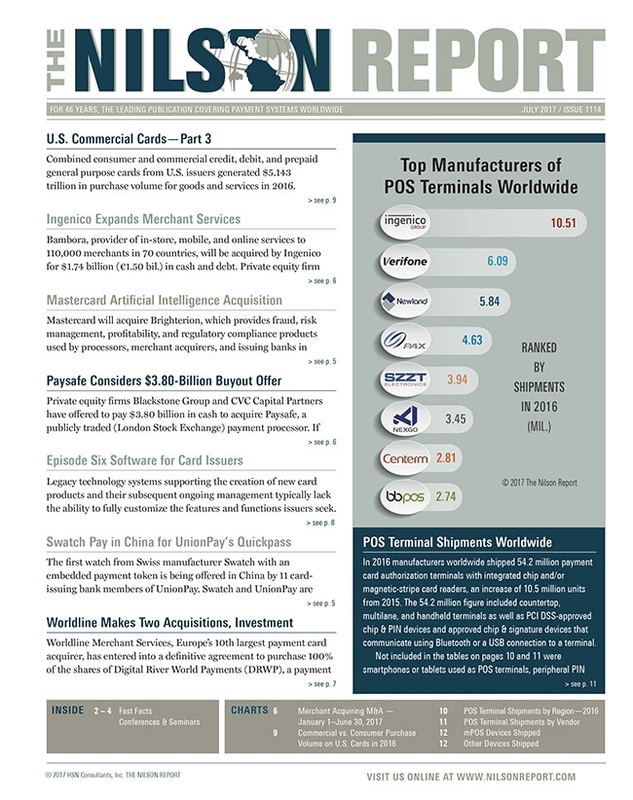 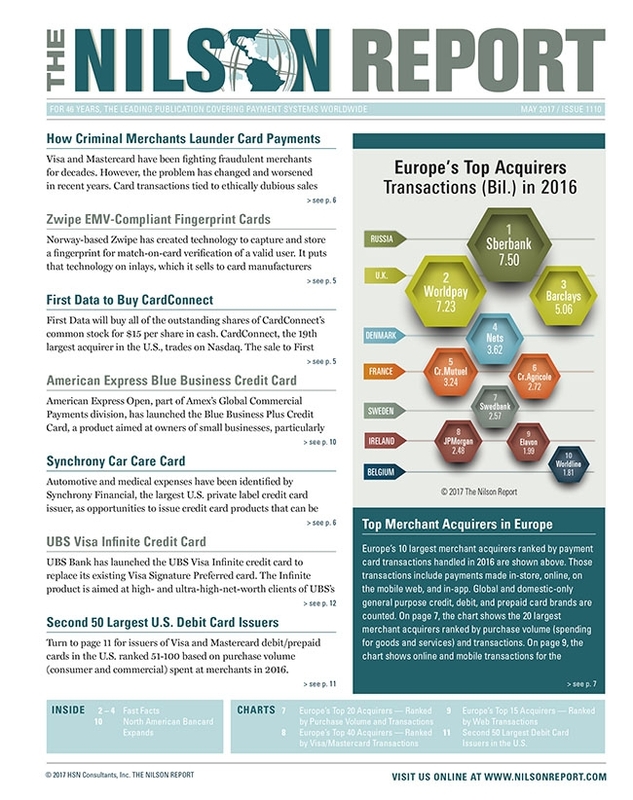 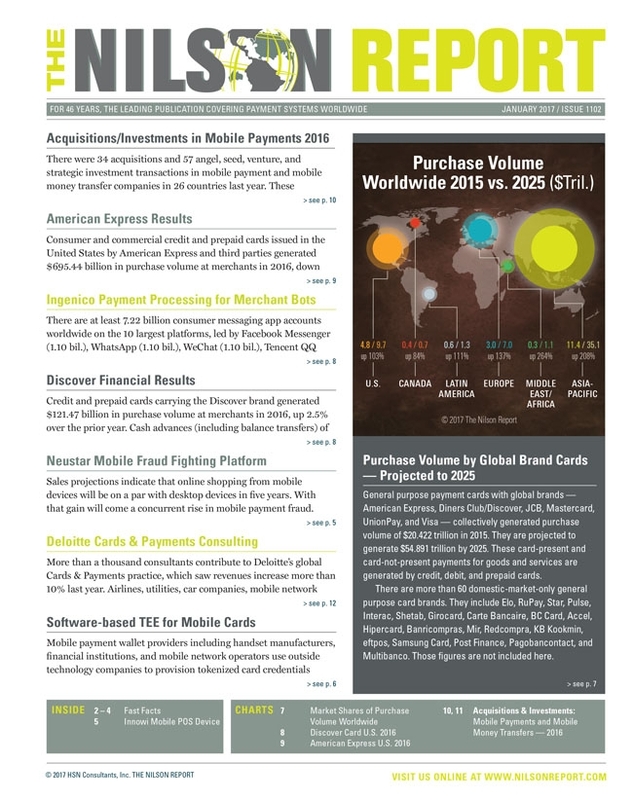 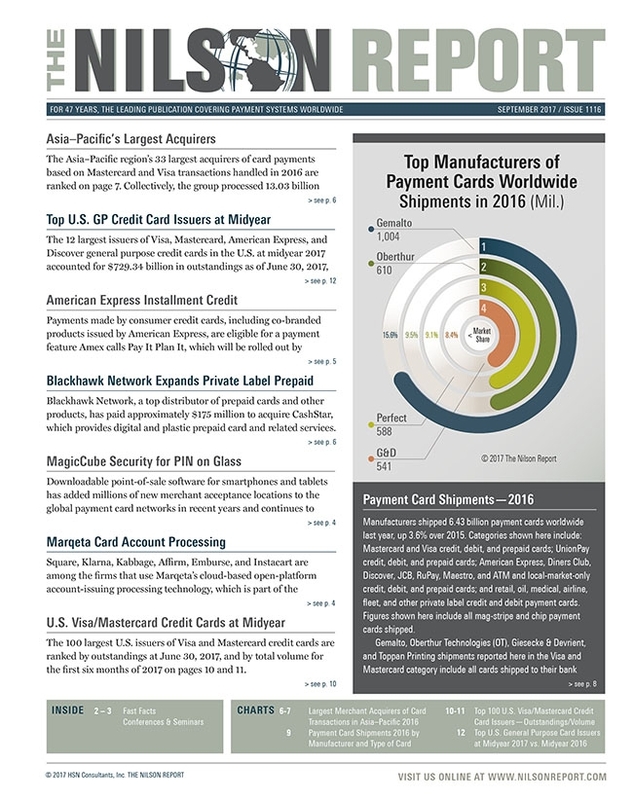 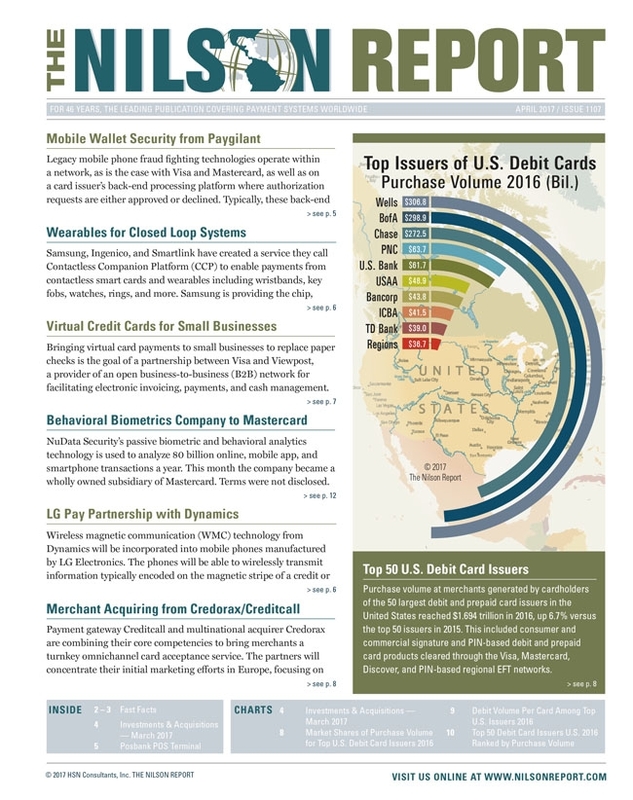 Year-Over-Year Change in Purchase Volume on Store vs. All Other Credit Cards in the U.S.
Payment Cards in the U.S.
Fraud Inside vs. Outside the U.S.
First Quarter Card Results in the U.S.
Second 50 Largest Debit Card Issuers in the U.S.
Purchase Volume at Merchants 2016 - General Purpose Credit, Debit, and Prepaid Cards Issued in the U.S.
PIN on Mobile Device Tests in the U.K.
WeChat Pay Expands to the U.S.